Look familiar? 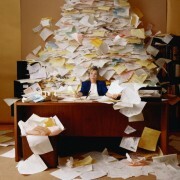 It’s too bad there isn’t an electronic way to organize and manage your significant documents. Oh Wait!….There Is! Customized document management systems add value to your business by cutting costs, improving office efficiency and increasing overall productivity. Beyond that, the installation of a separate full blown stand-alone document management system may be overkill if your problem is focused on the management of a specific document type such as material test reports or the product safety sheets associated with your inventory or manufactured goods. 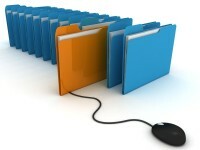 Many ERP systems provide the ability to link documents to operational records. What they lack are the mechanisms to scan, classify, and automatically establish the necessary links. 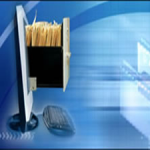 The field of document management can span solutions ranging from providing a simple electronic filing cabinet to the most sophisticated data extracting, workflow, record retention and automated disposition system. Thoughtful analysis of what brings value may very well reveal significant cost benefits and productivity improvements as a result of the implementation of simple and straight-forward process improvements such as the integration of a document management system with your ERP or other operational support system.